T'Rung is the Vietnamese name for this musical instrumnet. 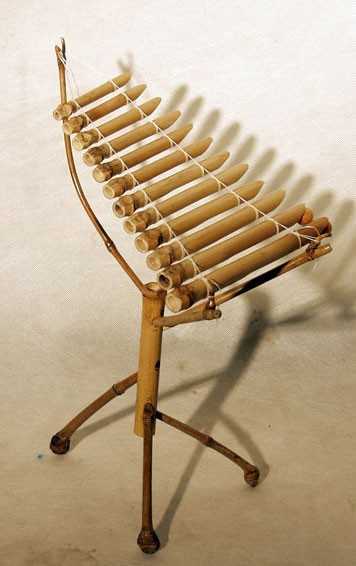 This instrument is popular for the people living in the central and southern highland of Vietnam. This musical instrument is a miniature but has the same functions as the real one. There are two bamboo strikers to play. The sounds are like sound of water. There is english instructions for notes.